Supporting a global change programme with video communications to raise awareness, create desire and reinforce the change. The quote text will go here. SBM Offshore is a leader in floating production and mooring systems for the oil industry, and has a global presence. From its offices, construction yards and shorebases in Europe, West Africa, USA, China and Asia Pacific, it specialises in the engineering, procurement, construction, installation, operation and relocation of bespoke Floating Production Storage & Offloading (FPSO) facilities. When SBM embarked on a change management programme, the ramifications were enormous and complex owing to a workforce spread across the globe. James Good was engaged to create a series of videos and eLearning content to communicate the programme to a diverse audience of SBM employees on- and off-shore, some beyond the reach of the internet and many of them non-native English speakers. The inaugural video and the first follow-up were shown exactly one year apart at SBM’s annual conferences in 2014 and 2015. Well-received, they have galvanised employees across the company, conveying the case for change, the vision, progress and impact of the programme in a manner that is consistent in style and appeals to workers regardless of role, department or location. 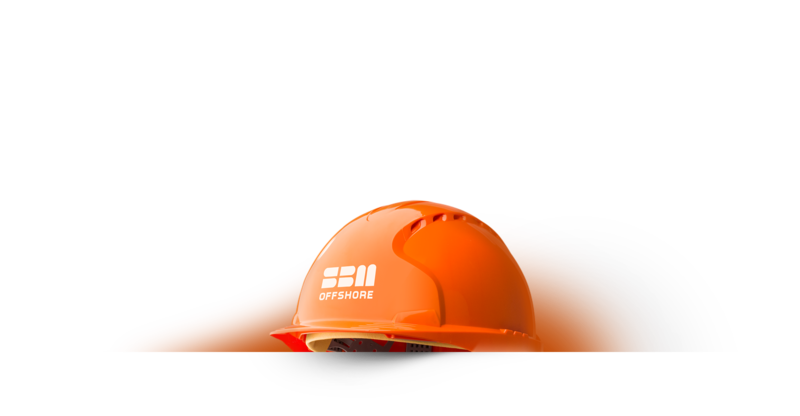 SBM Offshore is a highly complex organisation, selling products and services to multi-national clients in oil and gas. Its business model is multi-faceted: it is involved in construction and operation of Units, and also in servicing and manufacture; undertaking vessel installations and demobilisations on behalf of other oil and gas companies. Employing more than 10,000 people across four continents, SBM is not only Monaco’s largest employer, its name is connected to the deepest oil-wells ever operated and is a major reference in mooring systems design. Thanks to the multiple regional centres responsible for management and delivery, SBM’s projects and operations had grown in size and complexity, and a new business mind-set was deemed necessary. In 2013, therefore, SBM embarked upon a huge internal transformation programme designed to improve efficiency across its many disciplines by introducing better ways of working. Named Odyssey 24, the two-year change programme focussed on simplification and harmonisation that would produce seamless processes with a common language; improved quality, control, compliance and finance processes, and the human resources needed to make SBM a more integrated multi-national organisation. Odyssey 24 would be the springboard for consistent outstanding performance and a stronger future. SBM needed to communicate its radical internal change programme to its 10,000+ workforce situated around the globe. James Good was engaged alongside change management consultants CMC Partnership to communicate the changes, the need for them, and the impact of those changes as they occurred, in a suite of videos also comprising an eLearning programme. Our first challenge was the creation of a video setting out the changes and the drivers behind them. This video would inform and inspire SBM’s employees, in particular, 150 high-profile delegates of SBM’s Annual Management Conference (AMC). The video also had to resonate with employees whose first language was not English. We had to capture on video the thoughts of directors and project managers on future changes and their view of the efficiencies they would bring. We had to create videos of those teams who had undergone the changes, to convey the positive impact of Odyssey 24, renew the momentum of the transformation programme and, of course, update the workforce on the changes so far. Lastly, James Good was tasked with producing eLearning content on how to manage change for managers throughout SBM. James Good joined the project team working with Stephanie Jalabert, Programme Director of Odyssey 24, and took advantage of the deep knowledge of SBM’s operations she has accumulated after many years’ service in different departments. Our work consisted of five phases, and the videos James Good ultimately produced are available to all employees via the company intranet. Objective – To introduce the programme, highlight its key benefits and objectives, generate awareness and desire for the programme and encourage managers to want to participate and raise energy levels for the preceding workshop. Audience – Initially intended for the 150 most senior managers at the AMC, the video was later considered such a valuable introduction it was played at Odyssey 24 roadshows and workshops across SBM centres worldwide and is available to all SBM staff on the Odyssey 24 website. Objective – To motivate people to get on board, to communicate the change, and to highlight the benefits of each workstream and build relationships with those responsible for implementing Odyssey 24. Audience – SBM’s global employee base. Objective – To capture the positivity surrounding the first workstream implementation; to communicate to other teams that, whilst not easy it was worthwhile; to generate continuing awareness and desire for Odyssey 24, and to demonstrate that the company is keen to engage in dialogue with its workforce. Objective – To remind the audience of the programme’s objectives, and highlight progress to-date. Audience – 150 most senior managers at the AMC and all teams involved in the change. This video was subsequently used at the global Business Readiness Visits and is available to all staff throughout the Odyssey 24 website. Objective – To help SBM’s managers roll out change more effectively, and to provide managers with a perpetually accessible resource for ensuring the change process is adopted and embedded effectively. Each video addresses in detail the key phases of the change management process, what’s expected of managers, and how they should overcome challenges. Take10 was aligned to SBM’s brand guidelines rather than those of Odyssey 24, as it’s expected that the eLearning will have relevance beyond the life of the transformation programme. Audience – Those managers leading Odyssey 24 into the business, although the content is valuable to all management as it can be applied to any change management being delivered in the future. The suite of videos and eLearning programme produced by James Good from concept to implementation, succeeded in their mission to create awareness and desire for the new ways of working that Odyssey 24 will deliver. Well-received by delegates of the SBM AMC in 2014 and again in 2015, the videos often feature in meetings and presentations and now comprise part of SBM’s internal communication road-show. Their down-to-earth portrayal of SBM’s people has generated pride and, more importantly, a sense of belonging – the first hurdle in joined-up thinking for any large organisation.